California Dip! Different brands of soup mix resulted in dips of many colors. 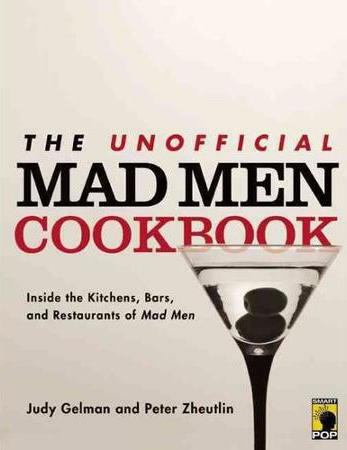 The season finale is April 5, and those wacky people who wrote The Unofficial Men Cookbook are hosting a Mad Men Blogger Virtual Dinner Party. Because, well, why not? I can't pour you a drink, but I can entice you with some virtual snacks and a classic cocktail. I also have a GIVEAWAY of the cookbook at the end of this post. Parties with prizes are fun, right? And you don't have to play Twister or anything. Oh, and I can also introduce you (virtually) to Judy Gelman and Peter Zheutlin who wrote the book. I wrote about them and the "inside story" about the book, here. 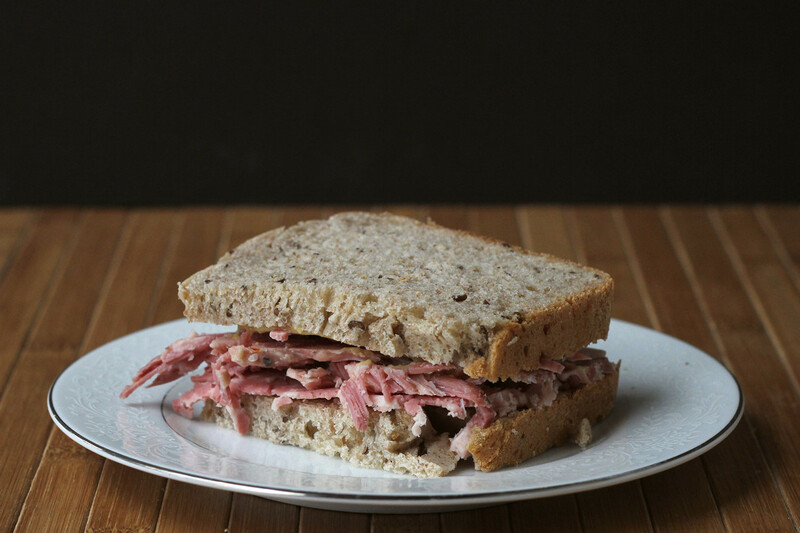 I've already made quite a few recipes from the book, and I blogged about some of them as well. Way back in March of 2012, I made (and wrote about) the Steak Tartare and my own version of the Brandy Alexander. I was pawing through the book looking for something new to make, when I spotted a recipe that I remember my mom's (much hipper) friends would make - California Dip. I remember thinking it was really fancy. I hadn't had this dip in years. Heck, I seldom buy potato chips. But then I saw this recipe and figured it would be good for nostalgia's sake. Let me warn you. DON'T MAKE THIS RECIPE. Just don't. If you do make it, you will become obsessed. You will decimate the potato chip aisle. You will buy giant tubs of sour cream. And you will buy every brand of onion soup mix you can find, followed by all the brands of onion soup dip mix, because soup mix makers know their soup mix is likely to become dip. Well, maybe that won't happen to you, but it did happen to me. And I'm still obsessed. Did you know that not only is there French onion soup-dip mix, but there's also a green onion dip? It's madness, I tell you. Delicious, creamy, crazy madness. In my defense ... ah, never mind. There is no defense. Welcome to the party! Have some snacks! You want this dip. You want this dip. You want this dip. Yup, that's it. That's all the magic that you need to make this insane dip. This is best if you let it sit for at least an hour or so before serving, so the mix hydrates and the flavors get all friendly with each other. I think it's really best if you make it the day before you need it. Keep it refrigerated until you need it. *If you don't want to consume vats and vats and vats of sour cream, you can make this a little healthier by substituting Greek yogurt for some or all of the sour cream. Although I love Greek yogurt, I think this dip is better if there's at least some sour cream with the yogurt. Oh, but let's not stop at a snack. Let's have a cocktail, too. I see a snowman. It was accidental, but I thought it was a cute photo. Pour whiskey, vermouth, and bitters into a glass with ice. 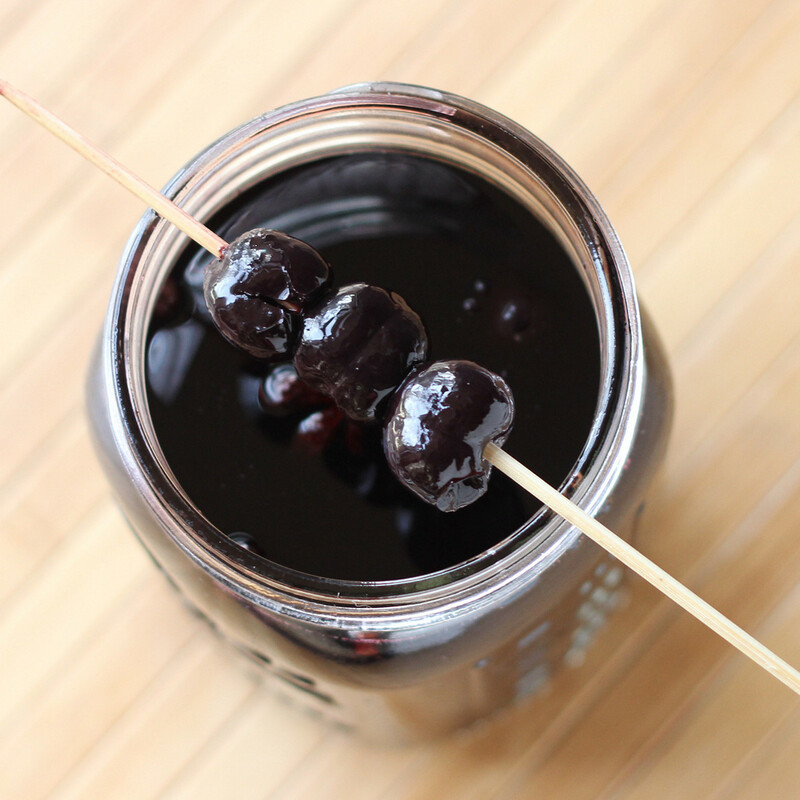 Stir well, then pour into a chilled cocktail glass and garnish with the cherry. Or, I know some folks who simply drink it over ice. If you like ice and don't want a watery drink right away, use large ice cubes. There are plenty of ice trays and molds for large cubes - or rounds. Birdie Bread - adorable buns shaped like little birds! I posted this bread originally a few years ago, but it was part of another post about - of all things - chicken on the grill. I thought these cute little birds deserved their very own post. They're perfect for spring, and adorable for Easter. And - big bonus here - they're a lot easier to make than my Bunny Bread. Yes, the bunny is adorable, but it's trickier than these buns. And, since you're probably piling these into a bread basket, you can put the best ones on top for everyone to oooh and aaaah over. By the time they get to the bottom of the basket, they'll just be slathering butter on them. This bread is just slightly sweet - not like a sweet roll that you'd have for breakfast, but a slightly sweet dinner roll. Great with a dab of butter. A really good match for spicy food or barbecue. Place this on the baking sheet, with the pointy end facing the center of the sheet. This will make it easier to work on the face later. Don't forget to check out Bunny Bread! It's not often that I get a cookbook where I've never used the main ingredient before. 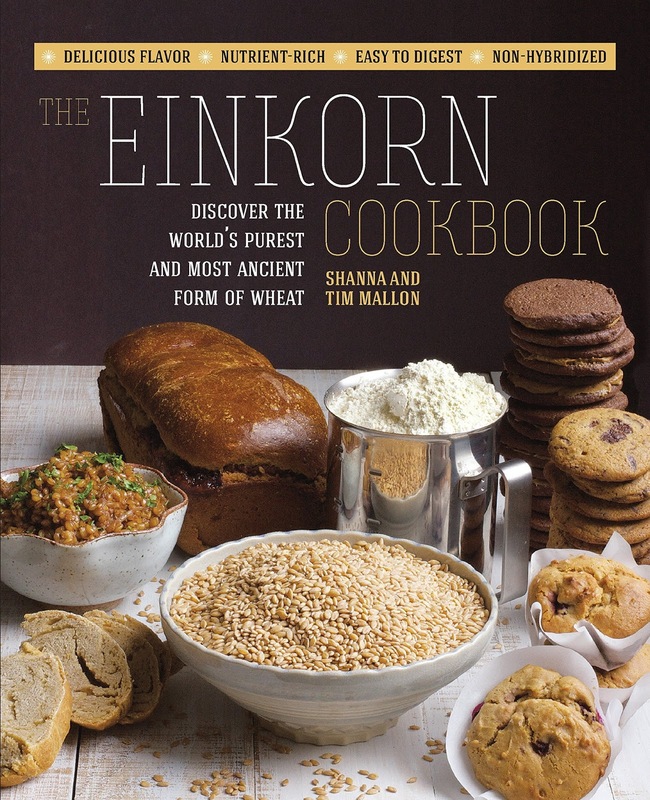 But that was the case when I got The Einkorn Cookbook by Shanna and Tim Mallon. Einkorn is an ancient form of wheat that's making a comeback, following in the footsteps of spelt and farro. I've used both spelt and farro , and for sure I've used a wheatfield worth of wheat. 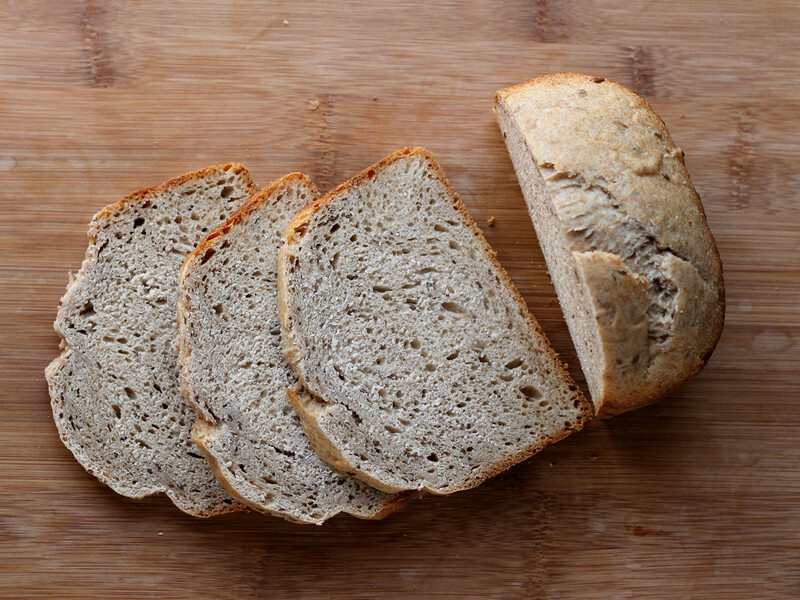 But while I'd heard of einkorn , I'd never cooked with it, and I'd never eaten it, either. Still, I figured I'd like it just fine, since I liked all of its relatives well enough. I did a little hunting and was able to find both einkorn berries and einkorn flour at a nearby natural food store. Score! 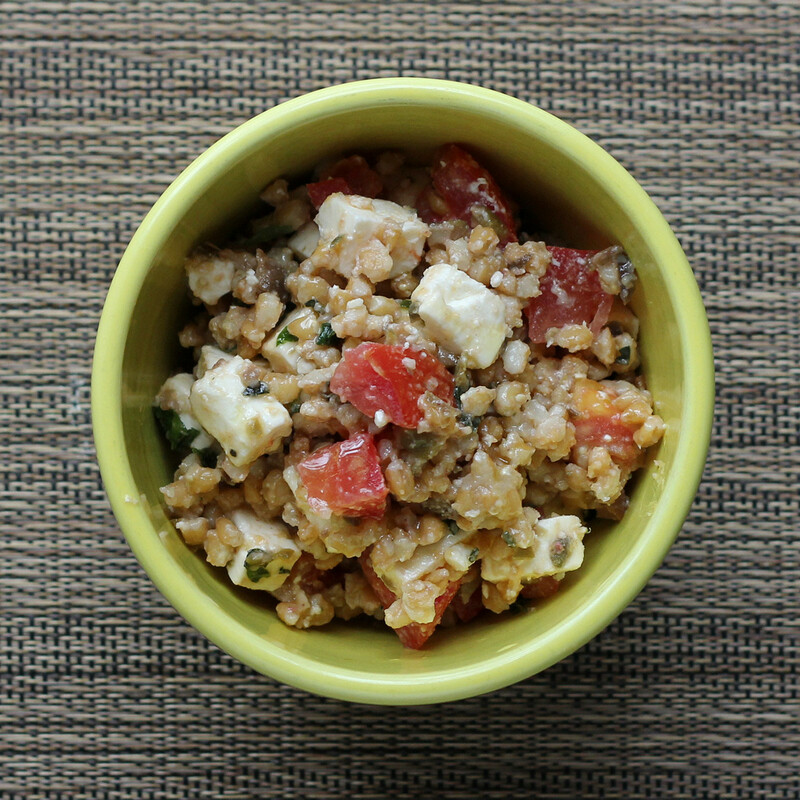 Einkorn salad with tomatoes and feta. I figured that I'd try recipes using both forms, eventually, so I bought both the flour and the berries. I mean, hey, I had a whole cookbook, right? As I was browsing through the book, I figured that a recipe using the berries would give me the best idea of the flavor of einkorn, so I picked out a recipe for an olive tapenade that was supposed to be served as topping for crusty bread. I served the tapenade with crackers on the first day, but then decided to turn the leftovers into a salad. To make that salad, I chopped up some tomatoes and cubed some feta cheese and added it to my olive tapenade along with extra cooked einkorn berries and a few extra olives that I roughly chopped. I mixed it all together, then added a small drizzle of olive oil, It was a darned good salad. I have to say that I'm pretty pleased with the einkorn berries - they've got a satisfying texture and a slightly nutty flavor. They should be just fine in any recipe that uses spelt berries or farro, and probably some that call for barley, wheat berries, or bulgur. Or, you know, get the cookbook and you'll have plenty of recipes. Soak the einkorn berries for 8 hours (or overnight) in a bowl with enough water to cover by about an inch, along with 1 teaspoon of cider vinegar. After soaking, drain and rinse the berries and put them in a heavy-bottomed pot. Add 1 1/2 cups of water. Bring to a boil, lower to a simmer, and cook until the berries are al dente - figure about 30 minutes - stirring as needed. This makes about 2 1/2 cups of berries, so you'll have enough for the tapenade, plus more for other recipes. The book says the cooked berries can be kept refrigerated for 2 weeks, so you needn't worry about using them right away. Adapted from The Einkorn Cookbook by Shanna and Tim Mallon. Put the olives, capers, mustard and basil (or other fresh herbs - I used a mix) in your food processor fitted with the steel blade. Process until the olives are finely diced, but not pureed. It's perfectly fine if there are a few slightly larger pieces of olive in the mix - it's better to have those than to turn the olives into a paste. Add the olive mixture to the einkorn berries in a medium bowl. Stir to combine. Refrigerate until needed. 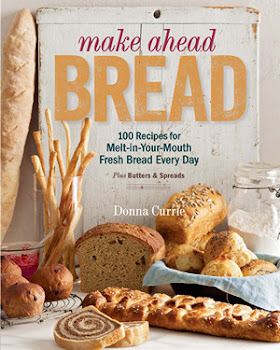 I received the cookbook from the publisher at no cost to me; I bought the einkorn. I'm a little embarrassed to say that wasn't familiar with Mr. Food until I got the cookbook Guilt-Free Weeknight Meals. The name was vaguely familiar, but if I ran into him in the produce aisle, I wouldn't have recognized him. If you're as much in the dark as I was, he was on television. But this isn't about his fame, it's about his book. 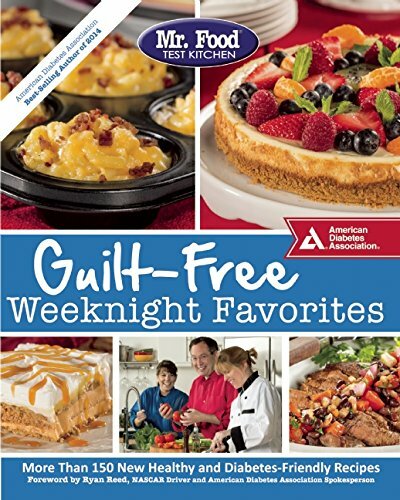 Guilt-Free Weeknight Meals is endorsed by the American Diabetes Association, if that's important to you. That's not what I was thinking about when I decided to make Miracle Pasta. I just wanted to see if it would work. This pasta i similar to those I've seen all over the Internet, where pasta, other ingredients, and liquid are thrown into a pot and it's cooked until the liquid has turned into a sauce. Many of those recipes include a whole bunch of other ingredients that need to all cook together. And the pasta needs to be cooked just right at the same time the liquid is reduced enough. This recipe is a little more simple, with just onions and garlic needing to be cooked through. Now that I've made it once, I have a few adjustments I might make the next time. For one thing, since I live at high altitude, the pasta took quite a bit longer to cook. For another thing, next time around, I'd add more flavor. Maybe some bell pepper. Maybe shrimp. Maybe some tomato paste to add some richness. But for a quick meal made from basic pantry ingredients, this was pretty good. The recipe points out that you could use whole wheat pasta instead of regular pasta. 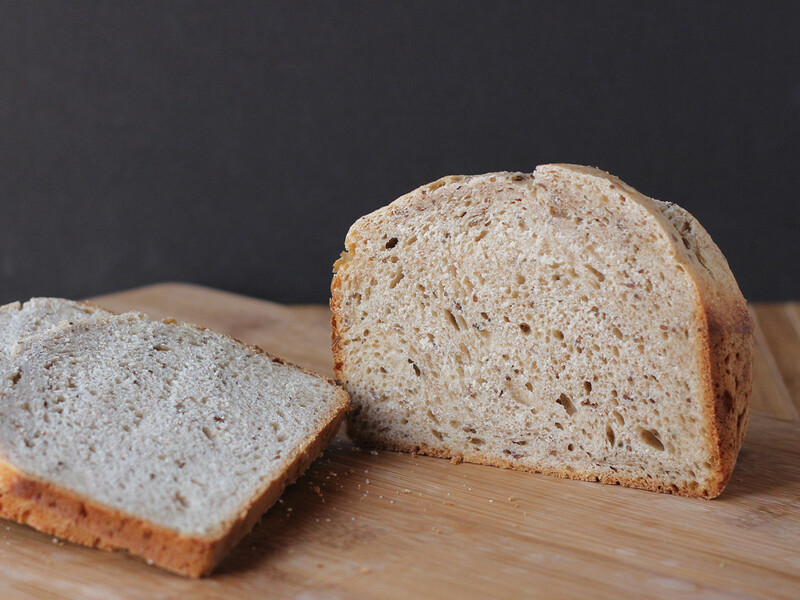 Or a half-and-half mix of white and whole wheat. I think I'd use one or the other, but not a mix, since they might not cook to the same texture in the same time. Balti cooking pot courtesy of Le Creuset. 12 ounces* linguine pasta, broken in half (this it to fit into the pot - if you've got a wide pot, you can leave them whole. Put everything except the basil and parmesan in a large pot. Cover, bring to a boil, then lower to a simmer. Cook for 10 minutes, or as long as needed to cook the pasta, stirring every few minutes to make sure the pasta doesn't stick. The liquid should be mostly gone. If there seems to be too much liquid and the pasta is nearly done, uncover the pot and stir more often until the sauce is saucy. Add the basil and cheese. Stir and serve. If desired, have more cheese available to add at the table. *Every package of linguine I looked at was 16 ounces, so I weighed it to get 12 ounces, Next time, I'd probably use 1/2 of the box and cut back on the liquid, Or, if you're feeding more people, use the whole box. **If you're buying it, I'm pretty sure an average container is 4 cups. It doesn't make sense to open another container for the remaining 1/2 cup, so I suggest adding water or perhaps tomato juice if you happen to have it. I was using my own stock here. Using chicken stock, this is a meatless meal; if you want to make it vegetarian, use vegetable stock instead of chicken stock. 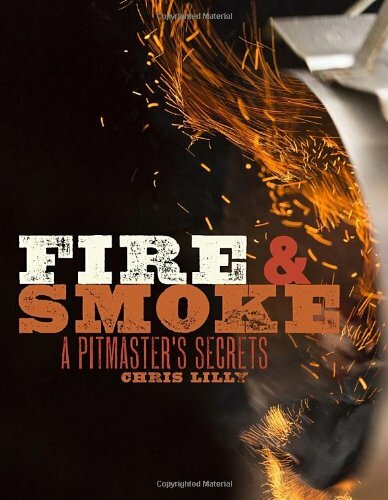 The lastest book from the Cook My Book group that I'm in was Fire and Smoke: A Pitmaster's Secrets by Chris Lilly. The idea of the group is that at the beginning of the year, we each choose a book that we want to share, and we send the book to the next person on the list. Every few weeks, we all mail that book ... and it continues until each book has passed through everyone's hands and ends up back with its owner, with notes, comments, drawings, cartoons, messages, and food splatters that memorialize all the dishes that the cooks have made. I didn't get very far in my browsing when I found a recipe for artichokes with a spicy mayo. Well, I already had the artichokes - I'd already cooked them, so I didn't need the recipe for grilling them, but the spicy mayo sounded good. I usually stuff artichokes, but sometimes a little dip is good, too. I only made half of the recipe because I knew I didn't need quite that much. I also used less cayenne because, while I like spicy foods a lot, I didn't want to overwhelm the flavor of the artichoke. This is the half-recipe, the way I made it. Taste it and add more cayenne if you want it even spicier. Combine all the ingredients in a small bowl and mix well. Refrigerate until needed. You can use this immediately, but I always like these sorts of dips or spreads after they've had time for the spices to hydrate and for the flavors to mingle.